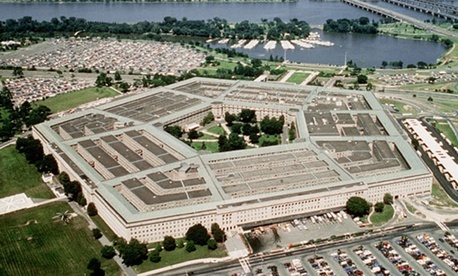 The Merit Systems Protection Board said on Thursday that it expects to start adjudicating furlough appeals from Defense Department employees shortly after Labor Day. The small federal agency announced earlier this month that it would delay processing thousands of Defense appeals until it could get a better handle on them. As of Aug. 21, MSPB had received more than 30,000 furlough appeals related to sequestration; 98 percent of those are from Defense employees. The agency has docketed about half of those appeals to date, and expects to have most of them in the system after Sept. 2. Soon after all the appeals are docketed, MSPB will begin adjudicating them. Agency officials have called the number of appeals filed during the last few months unprecedented and overwhelming. During fiscal 2012, the agency’s regional offices received about 6,000 total appeals, which include furlough- and non-furlough-related issues. MSPB has roughly 200 employees in eight regional offices nationwide. Defense furloughed more than 650,000 civilian employees this fiscal year because of sequestration. The department originally told employees that they would have to take 22 days of unpaid leave through Sept. 30; that number is down to six days. The agency has continued to process as usual furlough appeals from employees of non-Defense agencies. MSPB said the delay in processing Defense-related furlough appeals would allow the board to glean “a better understanding of the claims being raised, the work locations of the appellants, the MSPB offices in which the appeals have been filed, and whether or not the appellants are represented.” The board has encouraged employees to file appeals electronically if they can, and to check online periodically for updates. Among its other responsibilities, MSPB adjudicates appeals of “adverse personnel actions” from federal employees who have been fired, suspended for more than 14 days, furloughed for 30 days or less, demoted or had their pay cut. Agencies must give furloughed employees 30 days’ advance notice; once on furlough, employees have 30 days to file an appeal with MSPB. Board officials have worried since before the mandatory budget cuts took effect in March that the tiny, quasi-judicial agency could be flooded with appeals from furloughed employees governmentwide. The only other time something like this happened, according to officials, was in the 1980s when the agency had to process 12,000 personnel-related appeals during the air traffic controller strike. That took two years, and at the time, MSPB had about double the number of employees it has now. The average appeal processing time in fiscal 2012 was 93 days for an initial decision from the agency. The losing party can then file a petition of review with the agency’s three-member board in Washington. It took an average of 245 days in fiscal 2012 to process those petitions, which are rare.